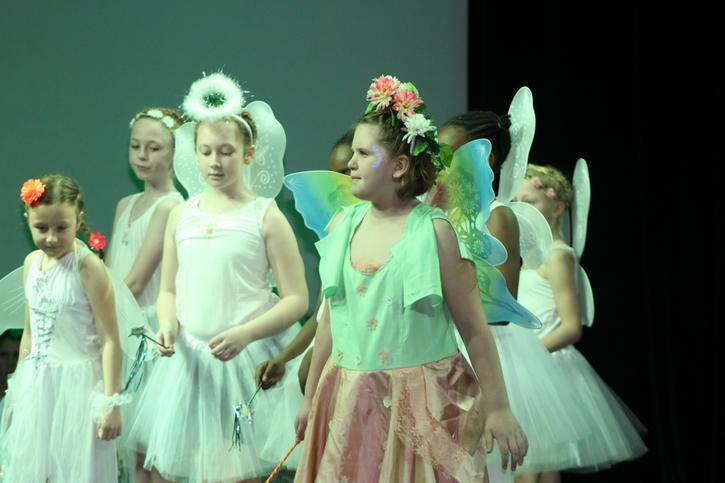 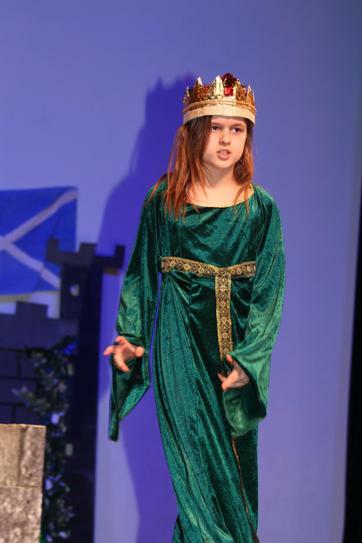 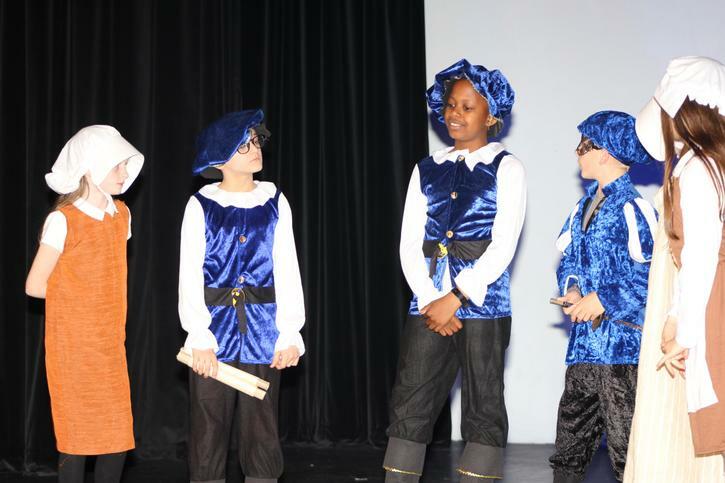 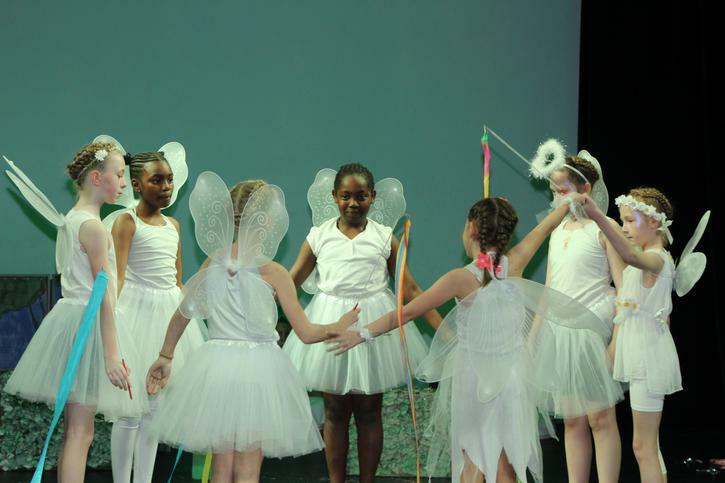 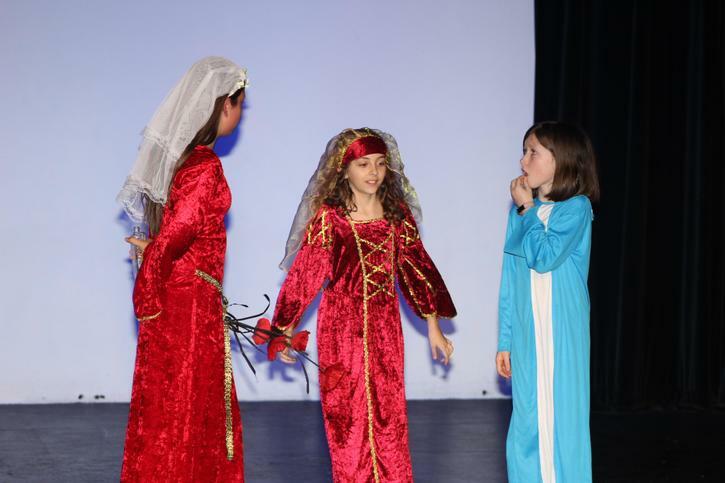 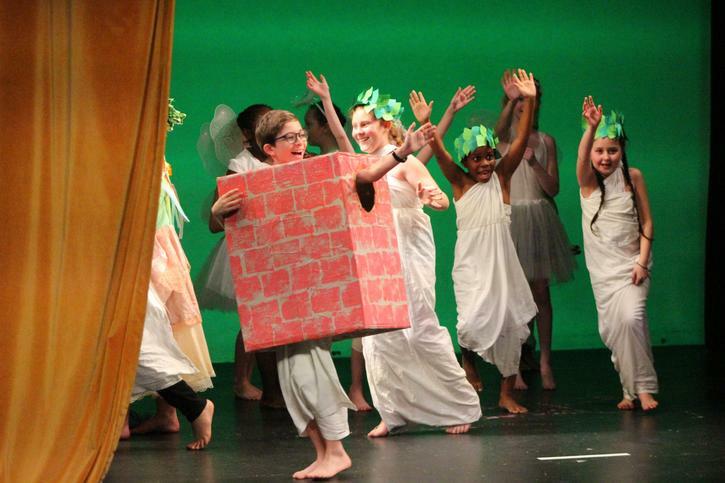 We have been taking children to the Thameside Theatre to perform Shakespeare plays for 5 years, previously as part of the annual national Shakespeare Schools Festival. 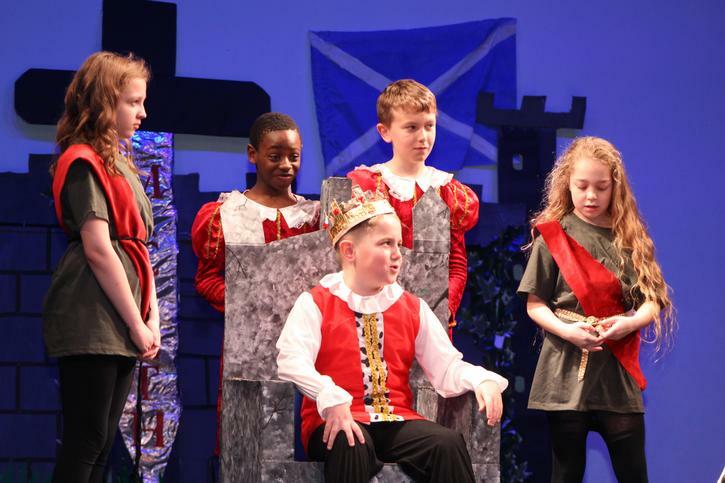 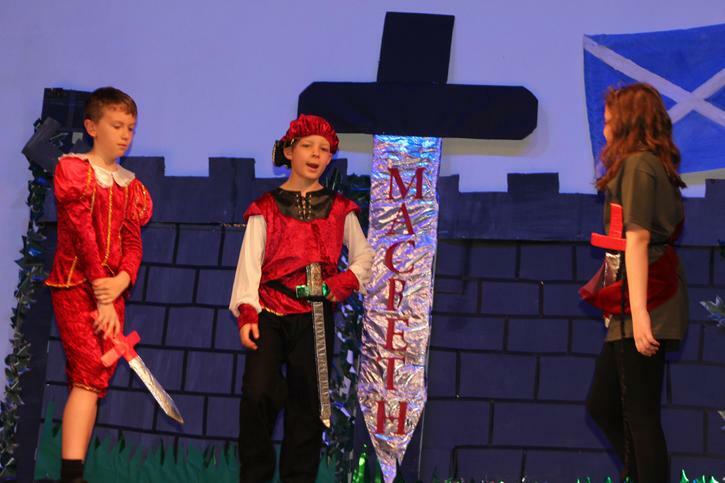 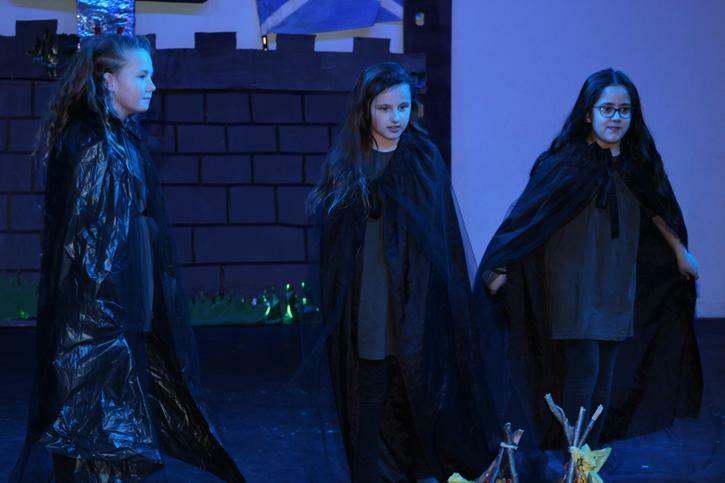 This is a national festival with primary, secondary and college pupils performing cut-down versions of Shakespeare plays in local Theatres all over the country. 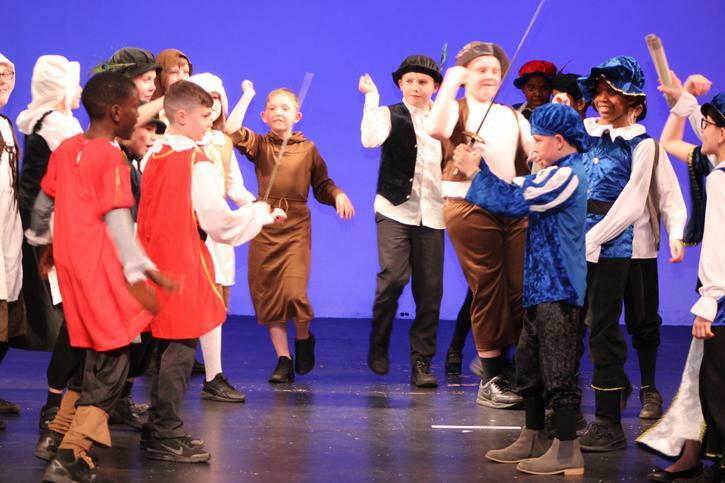 We have shared the stage with Palmers College, Gable Hall and, more recently, Little Thurrock; but this year we decided to book the theatre just for ourselves and hold our own festival. 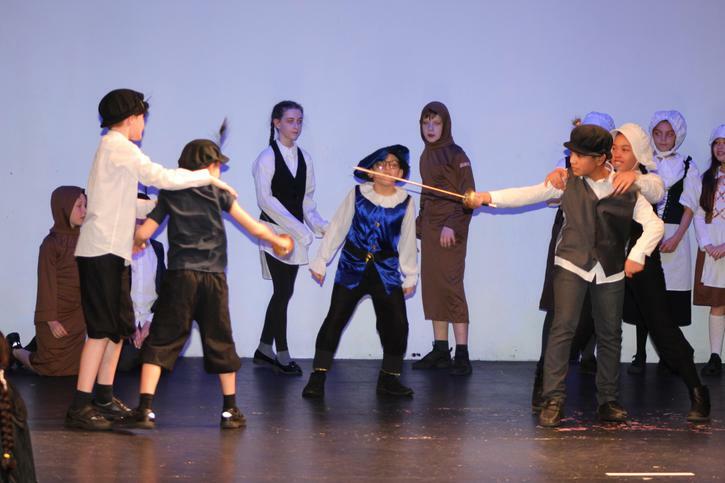 The main reason for this is that we could then include all three classes and every child in year 5. 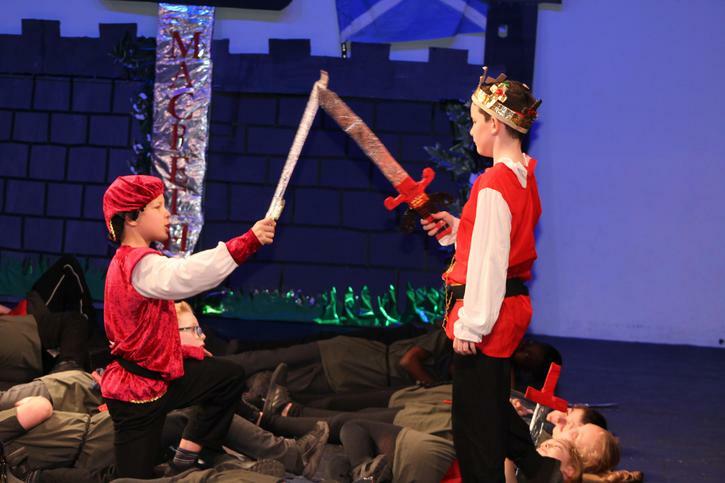 Another advantage was that we could allow parents to take photographs (provided these do not disrupt the performance) rather than sell rehearsal photographs. 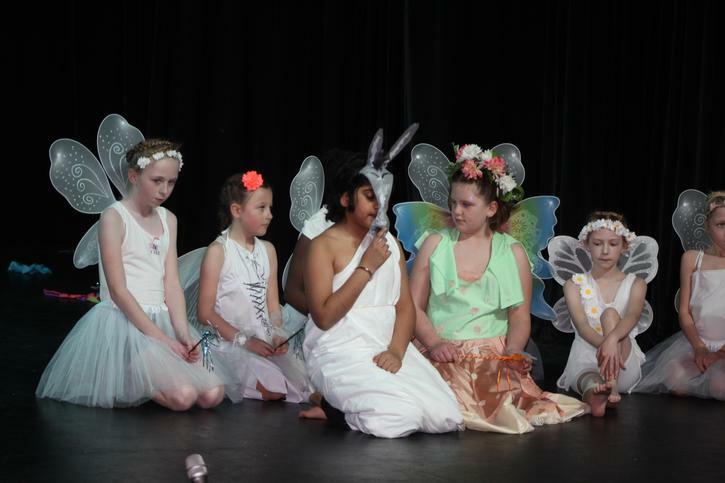 The festival took place this year on Thursday 21st March. 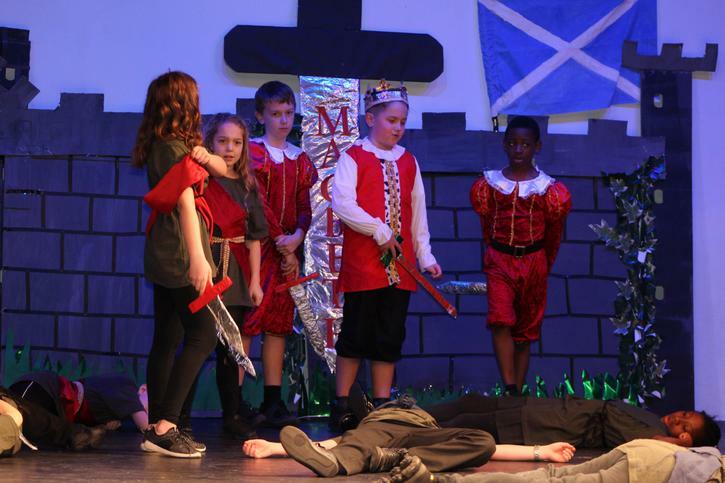 The plays were Macbeth by 5C, Romeo and Juliet by 5T and A Midsummer Night's Dream by 5T and the children gave excellent performances all round.